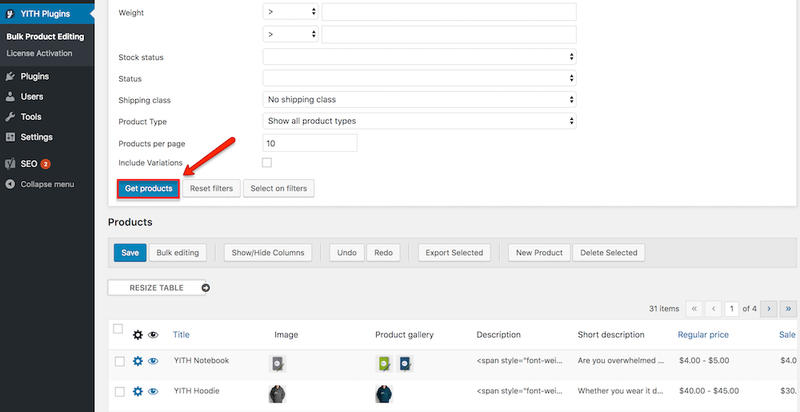 The shown products of the page can be filtered by title, description, SKU, category, tag, color, price, weight, status, shipping class, product type, and attributes. For Title, Description, and SKU, you can insert a value after selecting one of the following options: Contains, Does not contain, Starts with, Ends with or Regular expression. The list also includes variable products. If you want to add the single variations of the shop products, flag the “Include Variations” option, and every single variation will be editable just like any other product. The first one is to obtain a list of products filtered by specified conditions. In order to do so, click on the “Get Products” button. 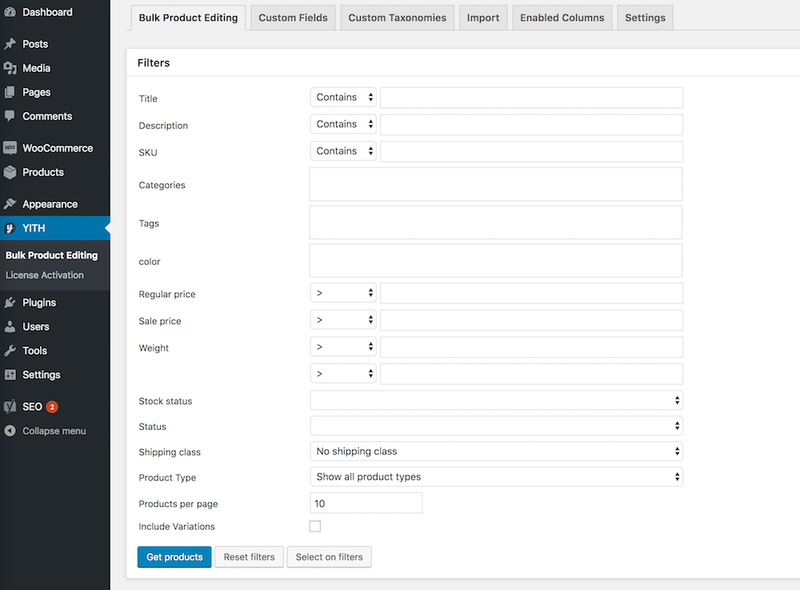 The second option to use filters, consists of selecting those products of the list that satisfy the specified conditions for filtering. In order to do so, click on the “Select on filters” button.